It’s a wrap for the Summer 2018 – BC AdventureSmart Teams and what a season it’s been. 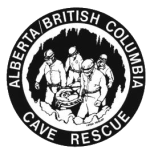 The season consisted of 16 full weeks of provincial travel, targeted curriculum development and delivery, media outreach, partnership collaboration, increased search and rescue group alliances and SAR prevention ambassador training. 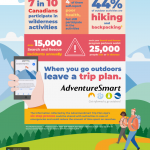 The BC AdventureSmart Teams reached 10,258 people face-to-face between May 7 – August 21, 2018. 26/80 SAR groups connected with. 59 new AdventureSmart presenters/ambassadors trained. 50% increase in social media outreach. 9/12 BC SAR regions travelled to. 301 volunteer presenters/ambassadors currently in BC. Volunteer presenters/ambassadors reached 5,049 people May – August, 2018. Outreach Teams + Volunteer presenters/ambassadors reached 15,307 people. 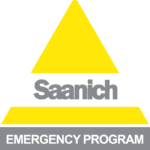 Thanks to the Executive Director, Sandra Riches, for leading the outreach team members; Emma Courtney, PJ Richards, Laura Rapp and Erin Thompson on a very successful season of SAR prevention by increasing awareness to help reduce the number and severity of SAR incidents in our province. 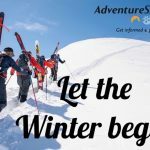 Exemplifying leadership with search and rescue prevention in our very active, healthy province of residents and tourists, BC AdventureSmart is setting high standards of professionalism, is creating a provincial legacy, offering expertise and hands on experience with all of their educational interactions. 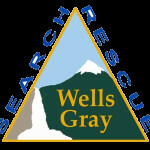 Moving forward, there are strategic plans to target season and sport specific trends, use data collected from SAR groups to analyze commonalities of subjects rescued and continuation of dynamic outreach methods applied. Looking forward to the winter 2018-19 season ahead.